Boston College (12-0) solidified its stranglehold on the top spot the Division I Coaches Poll by knocking off another top ten opponent last week and collecting all 25 first-place votes. The Eagles took down Virginia (9-4) by a score of 16-9 and dropped the Cavaliers to eighth in the poll. Maryland (12-0) remains in the second slot, Syracuse (12-2) moved into third and Northwestern (8-3) gained a spot to land in fourth. Notre Dame (10-1) makes its first appearance of the season in the top five after beating North Carolina (9-3) by a 9-7 score to knock the Tar Heels out of the top five and into the sixth position. Michigan (13-0) slid into seventh, while Penn (8-2) dropped to ninth and James Madison (8-3) held at number ten. Dartmouth (6-3) entered the poll for the first time this season, landing at #25 and knocking Penn State out of the rankings. Top-25 games start on Wednesday this week when #5 Notre Dame travels to face top-ranked Boston College, #21 Virginia Tech travels to #3 Syracuse, and #8 Virginia hosts #2 Maryland before Colorado (#23) travels to #14 Southern California on Friday. 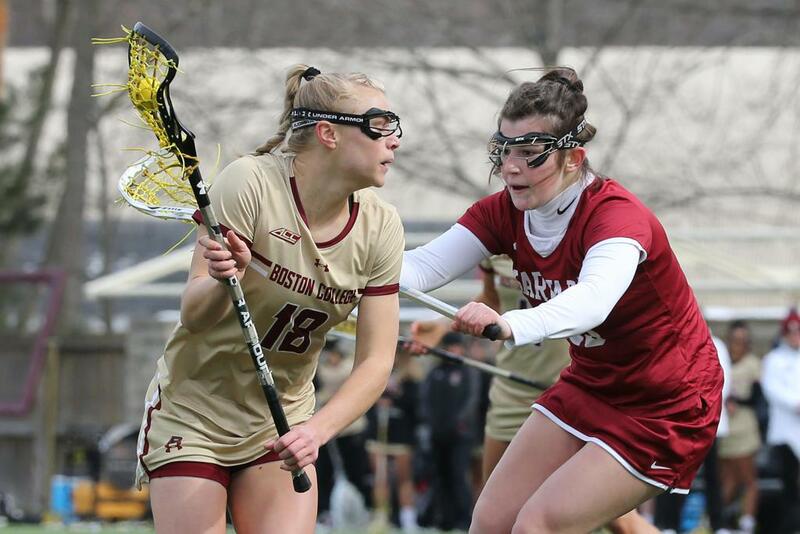 The weekend’s action includes #13 Duke at Boston College, #15 Princeton at #25 Dartmouth, #16 Denver at Georgetown (#22), Northwestern (#4) at #19 Johns Hopkins, #12 Navy at Loyola (#11), Michigan (#7) at Maryland, and Virginia Tech at Notre Dame.